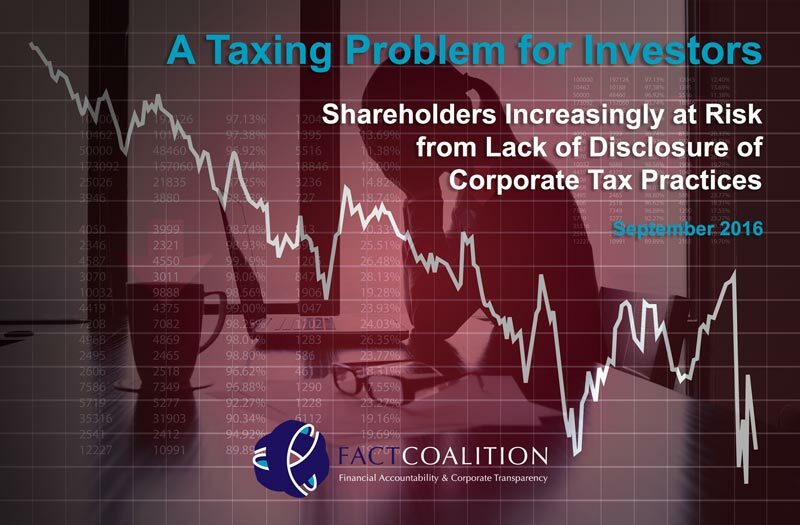 WASHINGTON, D.C. – Investors are at an increasing risk due to the lack of information disclosed by companies about their tax practices, according to a new report published today by the Financial Accountability and Corporate Transparency Coalition (FACT Coalition)—a non-partisan alliance of more than 100 state, national, and international organizations working toward a fair tax system that addresses the challenges of a global economy and promoting policies to combat the harmful impacts of corrupt financial practices. Titled “A Taxing Problem for Investors: Shareholders Increasingly at Risk from Lack of Disclosure of Corporate Tax Practices,” the report finds that multinational companies have become increasingly reliant on offshore tax avoidance practices to boost short-term earnings in recent years, yet disclosure requirements haven’t kept pace with this changing world. As governments around the globe struggle with growing budget deficits, tax authorities are increasingly cracking down on aggressive tax avoidance practices, which can have a significant impact on shareholder value. 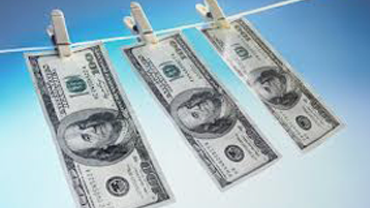 Earlier this summer, the U.S. Treasury Department finalized a rule requiring large companies to disclose to the Internal Revenue Service their profits, revenues, and tax payments on a country-by-country basis. Tax authorities in many other countries are implementing similar measures—known as country-by-country reporting—after the G-20 group of leading economies endorsed the practice as the international norm. “Moreover, since companies are already required to file country-by-country reporting information with the IRS, such a transparency requirement at the SEC would pose little burden on companies to comply,” added Mr. Gascoigne. 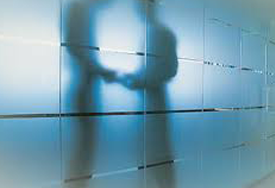 The Securities and Exchange Commission (SEC) launched its “Disclosure Effectiveness Initiative” in December 2013. As part of that process, the agency published a “Concept Release” in April 2016 seeking feedback on what companies should be required to disclose to investors. Several of the 340 questions-posed deal with tax matters. Several prominent investor groups weighed-in, submitting comments calling for a country-by-country reporting requirement, including the SEC’s Investor Advisory Committee. The report noted that the Commission could easily require that companies provide country-by-country reports to the SEC as a result of their Disclosure Effectiveness Initiative. “While the European Commission’s ruling against Apple’s Irish tax deal has dominated recent headlines, Apple is just the tip of the iceberg,” said Mr. Gascoigne. 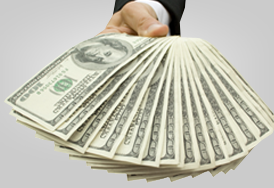 Caterpillar: Caterpillar has reported that the IRS is seeking significant additional tax payments and prosecutors are investigating its offshore tax practices, yet its disclosures do not arm investors with sufficient information about which to assess the potential risks involved. Chevron: In 2015, Chevron was hit with a AU$269 million tax assessment by Australian authorities. This preceded reports that the U.S. energy giant had paid a mere AU$248 dollars in taxes on AU$1.7 billion in profits (less than 1/10,000 of a percent). Google: In May 2016, the Paris offices of Google were raided by tax officials, amid reports that France is seeking tax payments of 1.6 billion euro (about $1.8 billion). In addition to country-by-country reporting, the report recommends a number of additional tax-related disclosures (See page 15) which would be useful to shareholders.